Flee Flea is a natural & nutritional supplement for Cats and Dogs. 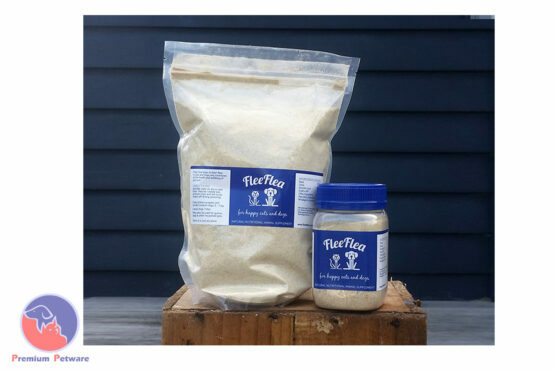 It is a mixture of healthy food ingredients which, when sprinkled on food daily, helps deter fleas and improve the health and well-being of small animals. Flee Flea can also help eliminate tear-staining. These food substances are high in Vitamins and Minerals and contains no chemicals. Flee Flea may be sprinkled onto food, or rubbed into animal’s coat & left to be licked off during grooming. Already infested Animals may have Flee Flea rubbed into their coat initially. Flee Flea helps to control fleas in cats & dogs, and contributes to the health & well-being of your pet.